Halloween is just a day away! 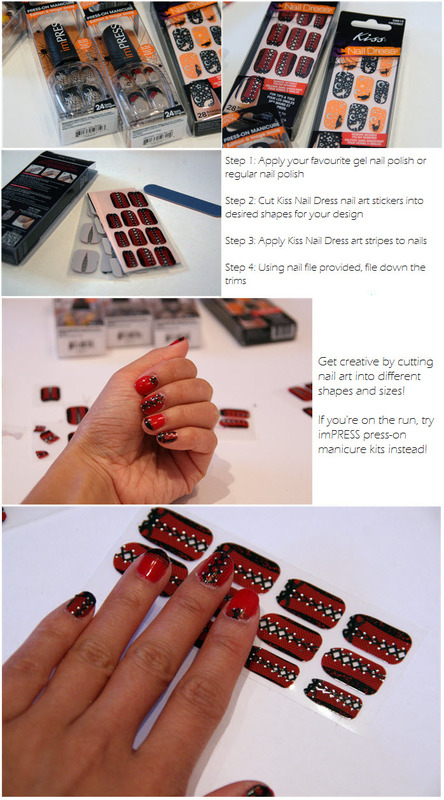 If you want to add that extra sparkle to your outfit, here is a SUPER quick Halloween Nail Art tutorial for you! I’ve always been a fan of Nail Art stickers, SUPER easy to apply. I first applied my at home gel nail polish (see this tutorial) and then I cut up the strips into my own design and applied it on top. This way, I can remove the stickers after Halloween and still have a fully polished manicure! Enjoy! Products shown are available at your local drug store. I’m wearing, Kiss Nail Dress in Trick or Treat. 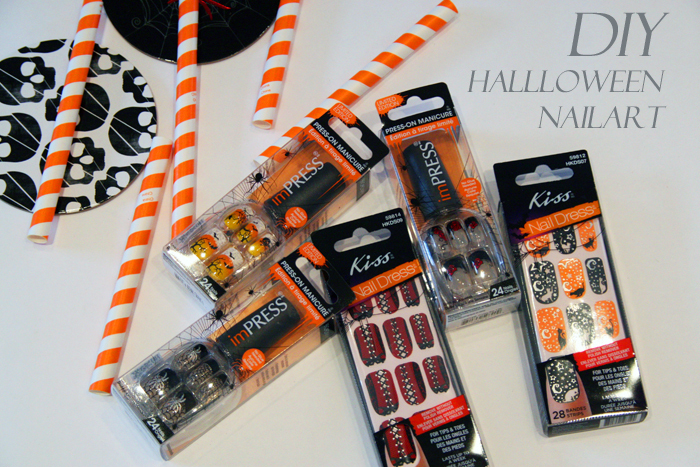 Other product shown: Kiss Nail Dress in Black Cat, imPress in Friday the 13th, Witchy Woman, and Elm Street. Have a happy a safe Halloween tomorrow if I don’t catch ya! Also check out these ideas if you’re still scrambling for a Halloween costume idea and for you preggos soon to be mommies out there, here is a DIY Halloween Maternity option for you too. Another person necessarily lend a hand to generate very seriously content articles I would personally state. This can be the brand new I seen your web page therefore far? My partner and i surprised with the research you have made to generate this particular organize amazing. Wonderful pastime! I LOVE Nail art so much!